When you work primarily with hand tools you don't need a lot of space or infrastructure. I am building an new workshop/studio on the exact spot and using the same footprint as the old garage that I dismantled early this month. Working in the upstairs of our house has been a great joy, but I need to move on to another space and allow my wife and I to enjoy our house as a house again. The original garage was built in 1964, (I was born in 1962!) by some very capable carpenters, as I discovered when I took the building down, but it had no real foundation and no look outs on the eave elevations which was causing the roof to sag. After searching on the Internet, I found some wonderful plans for a shed building which I have adapted to build my own space. Those of you who have been following my blog know that I was a framing/finishing carpenter for many years, it is nice to frame again, but at my own speed without nail guns and air compressors filling the air with 21st century noise. 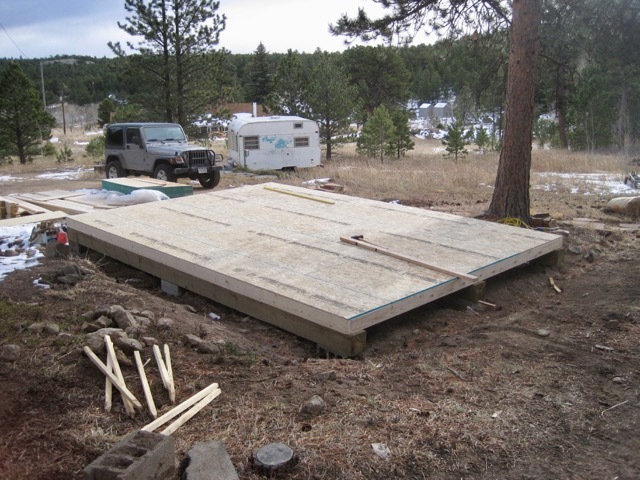 The floor joists are 2x6's on top of ground contact rated 8x8's. 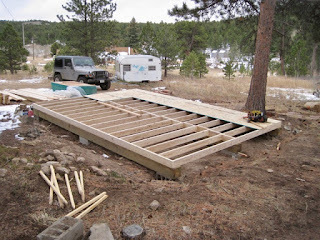 One thing I learned from an old time carpenter is to layout the roof rafters on the flooring deck, do all the work on the floor and not in the air. This afternoon I realized that I had failed to account for the shear thickness on the walls, I will have to add 7/16th's of an inch to each end of the the other rafters before I fly them. I am working by myself, this wall was framed in two sections, one was 12' long and the other 8'. Much easier to lift a short wall than a long wall. 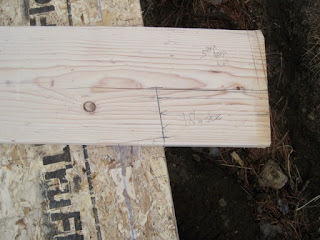 This wall is 7'6" tall, the south elevation will have a 10'4" tall wall with lots of windows. 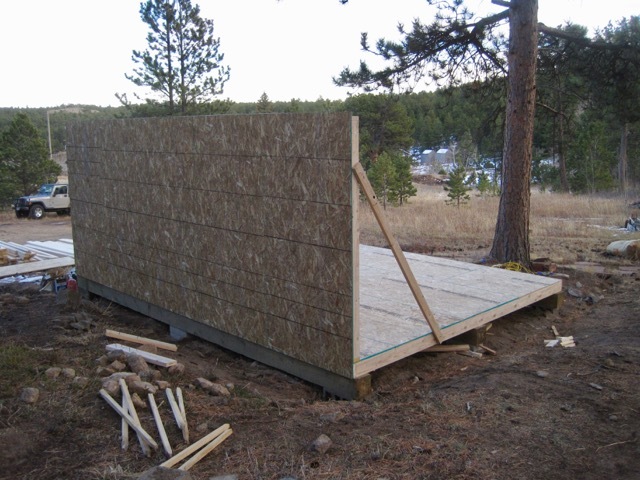 I was hoping to frame that wall tomorrow, 11/22/16, but the forecast is for snow and I ran out of 8d nails today, which are used to attach the OSB shear to the framing. The tall wall I will have to build in three different sections, again, I am working by myself and I don't own any wall jacks. Stay tuned, more pictures of the framing process!